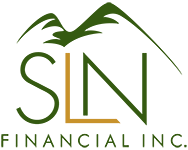 October 21, 2015 - 4 Questions You Should Ask Before Buying LTC Insurance | SLN Financial, Inc.
1. Why am I buying LTC insurance? Sit down and think about why you are considering long-term care insurance. Are you worried about running out of money? Do you want to protect your family or leave more assets behind? Are you worried about having no one to care for you? Understanding your reasons for purchasing can help you filter through the noise and narrow down your options. 2. When should I buy LTC insurance? Purchasing a policy when you are younger (and free of known health issues) may help you find lower premiums and more options. However, LTC premiums are not cheap and starting sooner can raise your lifetime cost of coverage. An insurance specialist can help you calculate the best time to buy. 3. What policy details matter? Like any insurance policy, the details of a long-term care policy can vary considerably. LTC policies generally set daily dollar limits for coverage and specify the length of time they will cover your care. Most have an exclusion period (often 90 days) before the policy kicks in. Higher daily limits and longer periods of coverage cost more in premiums, so it’s wise to compare different options. Some policies offer inflation protection riders, which can help your coverage keep pace with potentially higher costs down the road. Other policies will cover both members of a couple. Make sure you carefully compare policies and only pay for options that make sense for your needs. 4. How can I know if LTC insurance is right for me? Long-term care insurance should only be considered in light of your overall financial situation. If you’re wondering about how to pay for healthcare in retirement or are worried about the effect of a long-term illness on your family’s finances, it’s wise to talk to a professional. If you’d like to know more about how to pay for healthcare in retirement, please give our office a call at [NUMBER].